When you need medical help fast, call 111. It’s free and open 24 hours a day, 365 days a year. or don’t know who to call and you need health information or reassurance about what to do next. to book a daytime appointment with your GP – call your surgery direct. to arrange a repeat prescription – speak to your GP or a pharmacist. for test results – call your GP or the relevant hospital department. if a health professional has given you a number to call for a particular condition – you should continue to use that number. If someone is seriously ill or injured and their life is at risk, you should still call 999.
brief details of the healthcare problem. The adviser will then ask you a series of questions to assess your symptoms. Based on your answers, they will give you healthcare advice or direct you straightaway to the local service that can help you best, such as an out-of-hours doctor, urgent care centre, minor injuries unit, emergency dentist or late-opening chemist. If possible, the adviser will book you an appointment or transfer you directly to the people you need to speak to. If they think your condition is more serious, they will direct you to hospital or send an ambulance straightaway. All calls to and from our service are recorded for your protection and for monitoring purposes. Calls and records are created and maintained securely, and will only be shared with others directly involved in your care or to maintain quality and high standards. If it is out of hours, the 111 adviser you speak to may refer you to the GP out-of-hours service, which is provided by Kernow Health. A GP or nurse will phone you to clinically assess and advise you within one hour. If your call is considered urgent, they’ll aim to call within 20 minutes. If your problem cannot be resolved over the telephone, you will be invited to see a doctor at a local treatment centre. In certain clinical circumstances, (for example, patients who are elderly, immobile, or receiving palliative care), a doctor will visit you at home. We aim to provide home visits within six hours of your phone call with the GP or nurse, and in urgent cases, within two hours. If the GP or nurse thinks your problem is more serious, they might call an ambulance for you or advise you to attend the Emergency Department at the Royal Cornwall Hospital in Truro or the Urgent Care Centre at West Cornwall Hospital in Penzance. We’ll send details of your contact with the GP out-of-hours service to your own GP. All telephone calls to and from our service are recorded for your protection and for monitoring purposes. They may be used to training purposes in order to maintain quality and high standards. Our call and visit timescales meet Department of Health standards. Need some help with your call to 111? Connect with a BSL interpreter via video call. The interpreter will phone a 111 adviser on your behalf and relay your conversation with them. You can access this service on a computer with a webcam, or via the InterpreterNow app on a smartphone or tablet. Find out more about the NHS 111 BSL interpreter service. If you have difficulties communicating or hearing, you can use the NHS 111 service through a textphone by calling 1800 1111. Calls are connected to the TextDirect system and the textphone will display messages to tell you what’s happening. A typetalk relay assistant will automatically join the call. They’ll talk back what you’ve typed to the NHS 111 adviser and, in return, type back the adviser’s conversation so you can read it on your textphone’s display or computer. If you don’t speak English, tell the adviser what language you want to speak and they will get you an interpreter. Where is the best place to get treatment? Read our guide to urgent and emergency care in Cornwall. Cornwall Integrated Urgent Care is a partnership between the Royal Cornwall Hospitals NHS Trust, Kernow Health Community Interest Company and Vocare Limited to provide NHS 111 and GP out of hours services for people across Cornwall and the Isles of Scilly. 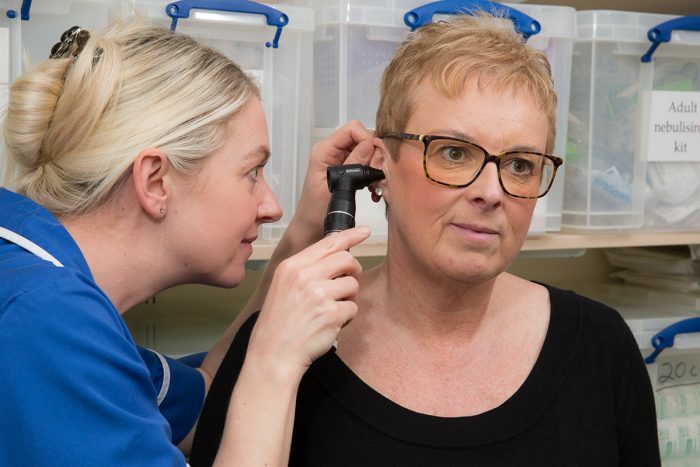 By bringing these two services together, patients will get the right help from a mix of clinical specialists, such as nurses, GPs and pharmacists, and can expect more seamless care, getting the right help, more quickly. 111 is staffed by fully trained advisers, supported by experienced nurses, paramedics and GPs. The service is supported by Cornwall Partnership NHS Foundation Trust which runs Cornwall’s network of minor injury units. The joined up approach will play a significant role in bringing together community and acute hospital-based urgent and emergency care services as part of the local sustainability and transformation plans, Shaping Our Future. The contract for the integrated service is held by Royal Cornwall Hospitals NHS Trust and started on 1 December 2017. We are always keen to hear from GPs interested in working for the out-of-hours service. You’ll be part of the Kernow Health team, a small, agile and highly supportive team. We’re on the look out for people who work hard and go the extra mile. You don’t need to have worked in an out-of-hours setting before, we offer full training, shadowing and support to get you ready to go. To set the ball rolling, or for an informal discussion, please email p.toon@nhs.net or call us on 01872 222400. Our call centre advisers help people across Cornwall access the right medical care, in the right place, at the right time. As a part of the Vocare team, you’ll answer calls from members of the public with non-emergency health problems and provide appropriate healthcare advice or direct them to the best local service, this could include dispatching an ambulance, booking an out-of-hours GP appointment or helping them find the nearest minor injuries unit. We offer competitive salaries, excellent working environments, flexible working hours and being part of a supportive and innovative team with scope for progression. Visit the Vocare website for more information on joining our call centre team. Find out more about being a 111 call handler on the NHS Careers website.